Delivery will be on a non-returnable wooden pallet. For more information, please click here. 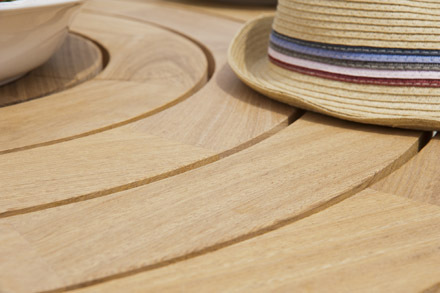 Roble, a superior sustainable wood. In 2011 Alexander Rose introduced a comprehensive collection of sustainable FSC Roble hardwood furtniture, grown in Eastern Bolivia's dry forest. With over five million acres of FSC certified forest under management, Bolivia is the world's leader in sustainable management of natural tropical forest. Within the Chiquitania Forest Reserve Alexander Rose's Roble supplies come from their parent company's estate of two million acres. 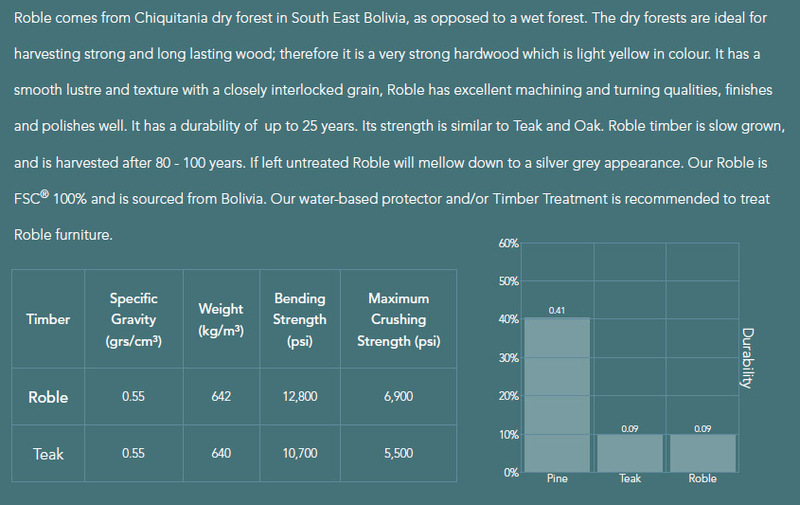 Roble comes from a dry forest, as opposed to a wet forest, and so the trees grow very slowly. The dry forests are ideal for harvesting strong and long lasting wood; therefore it is a strong and dense hardwood with high durability. It is an attractive, light yellow coloured wood when new, until the sun gracefully transforms it to a mature, elegant silver grey patina if left untreated. It has a smooth lustre and texture with a closely interlocked grain. Roble has excellent machining and turning qualities, finishes and polishes well. 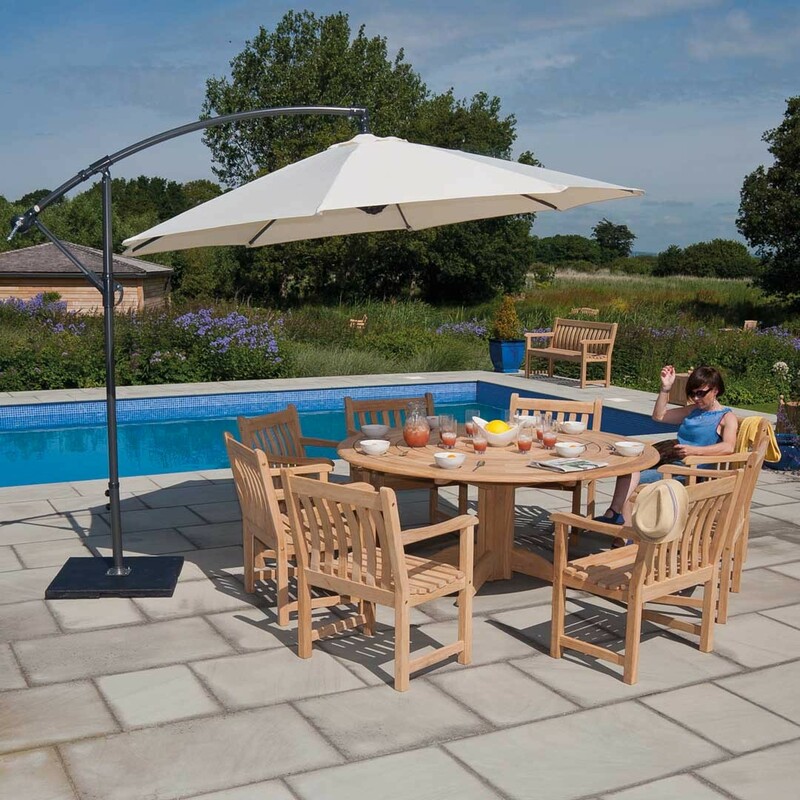 It has a durability of up to 25 years. Its strength is similar to Teak and Oak. 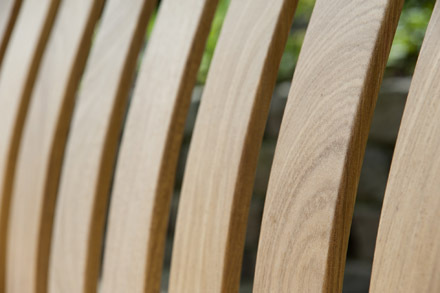 Alexander Rose's water-based Protector and/or Timber Treatment is recommended to treat Roble furniture.